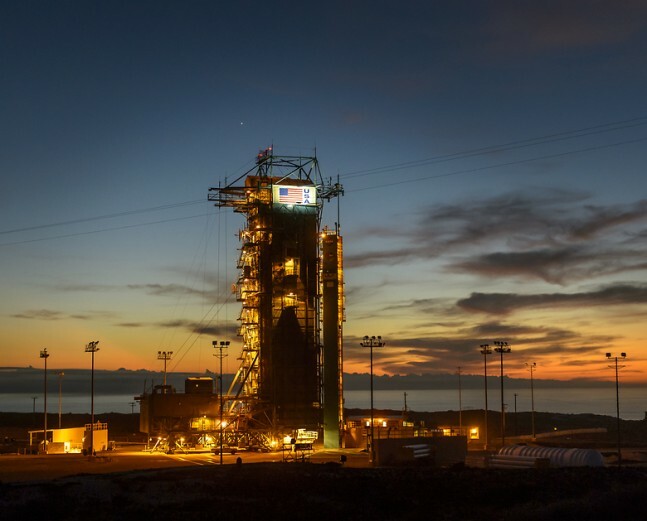 NASA’s Soil Moisture Active Passive (SMAP) observatory, able to produce the highest-resolution and most accurate maps of soil moisture ever obtained from space, is set to launch Thursday, Jan. 29, from Space Launch Complex 2 at Vandenberg Air Force Base in California. 9:20 a.m. EST (1420 GMT) marks the beginning of a three minute launch window, and if all goes according to schedule, a United Launch Alliance (ULA) Delta II rocket will carry SMAP into orbit. 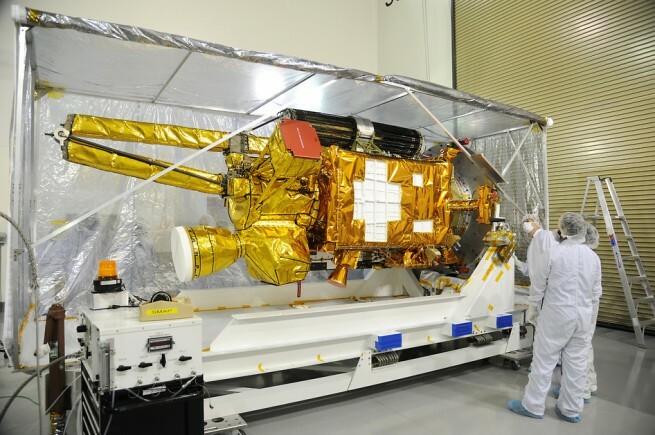 “SMAP will be the first mission to measure the soil moisture in the top two inches of the Earth’s surface,” said Chuong Nguyen, the SMAP mission manager for the Launch Services Program (LSP) at the agency’s Kennedy Space Center in Florida. By measuring soil moisture and how it freezes or thaws will be beneficial to scientists for multiple reasons. In order to grow, plants and crops extract water from the soil via their root system. If the moisture levels in the soil are inadequate, the plants will not grow, and ultimately the amount of crops produced will dwindle. Energy produced by the Sun also has an effect on soil moisture. Soil moisture evaporates as a result of solar energy, cooling surface temperatures and as a result, increasing moisture in the atmosphere. This allows for more cloud formation and increased precipitation. Soil moisture plays a key role not only in short-term regional weather, but also in longer-term global climate. During the summer months, plants in the planet’s northern boreal regions — forests located in high northern latitudes — grow by absorbing carbon dioxide from the atmosphere, before entering a dormant state during the winter. Scientists have discovered that the longer the summer growth period is, the more carbon dioxide is removed from the air and absorbed by the plants. The start of the summer growing season is signaled by the thawing of water in soils, SMAP will be able to help scientists more accurately measure how much carbon dioxide is removed from the air. These measurements are key to better understanding of future global warming. Approximately four hours before liftoff, Nguyen and his team will begin to monitor launch activity and will continue to do so right up until launch. The team will check the health and status of the rocket and ensure everything is nominal prior to flight. 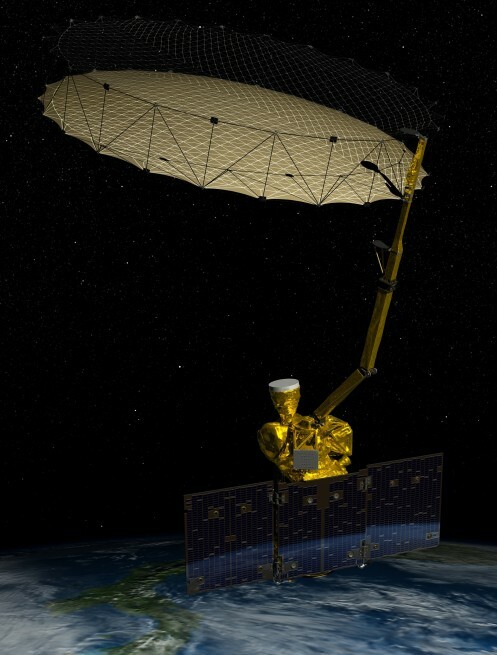 SMAP contains two advanced instruments, working together to produce global soil moisture maps. It employs active radar very similar to the flash on a camera; however, it transmits microwave pulses instead of visible light. These pulses pass through clouds and moderate vegetation cover to the ground and measures how much of that signal is reflected back. 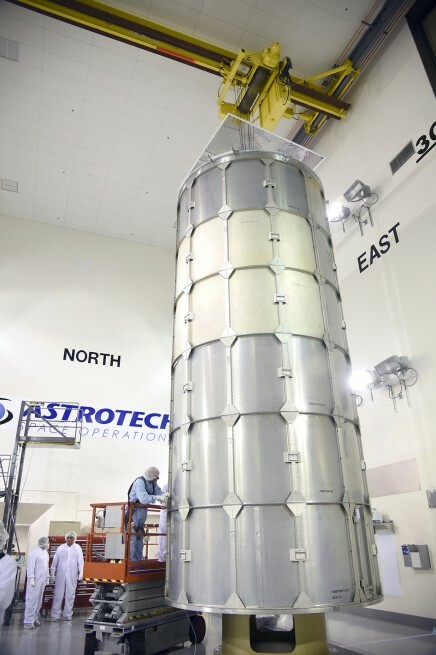 NASA’s Soil Moisture Active Passive spacecraft is lowered onto the Delta II payload attach structure in the Astrotech payload processing facility at Vandenberg Air Force Base, California. The radar, will send out a signal and listen for the return. It has a resolution of only about 0.6 to 1.9 miles. The radar is more sensitive to vegetation and other features on top of the soil; however, it’s not as accurate as the radiometer. “Combine the two together, use the best of both, and you come up with a pretty accurate soil moisture product at a spatial resolution of 6 miles,” said Peggy O’Neill, SMAP deputy project scientist. The radiometer is capable of detecting a high-quality signal, but also picks up noise. Radio-frequency interference, or RFI, is what happens when technology, like air traffic control radars or closed circuit televisions, broadcast at the same or neighboring frequencies. The noise will “bleeds over” into the frequency that the radiometer is tuned into, and corrupt the data — just like on the radio when you hear one station trying to come in over top of another. SMAP operates at a frequency of 1.4 gigahertz, which is reserved for scientific instruments listening in on Earth and space. There have been reports of earlier instruments listening in to that frequency, and running into radio-frequency interference signals. 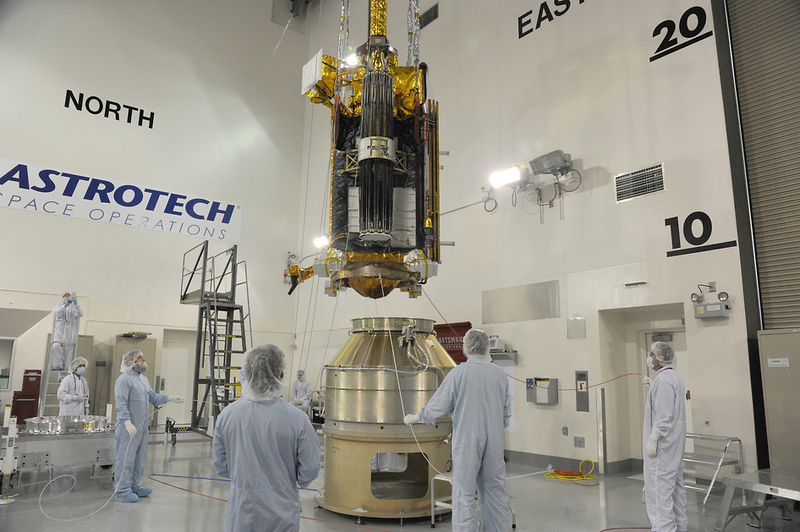 To help combat the RFI, the science team developed new anti-RFI enhancements for SMAP. 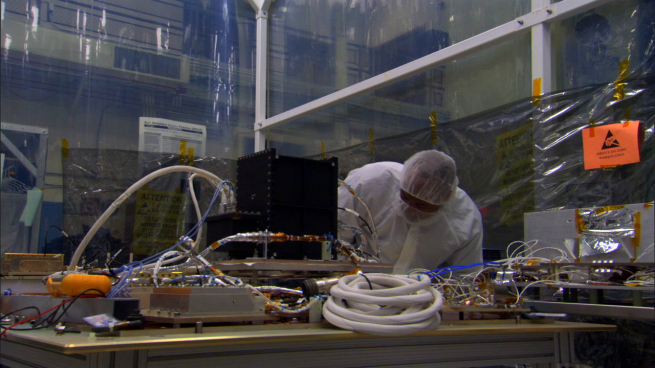 The new technique requires satellite data to be separated into different bins, with respect to sub-frequency and time. If there are outliers, that only appear at one time or a narrow frequency band, computer programs can throw those data out to isolate the natural signals from the soil, which will be more constant and from a wider frequency band. Great article. Also enjoyed the pictures! Its news to me that the soil emits microwaves that can escape into space. Probably they are too weak to help mitigate global warming, but must play some part in the Earth’s energy balance.